The Wright family is in ruins. Sue Ellen Wright has what she thinks is a close-to-perfect life. A terrific career as a Classics professor, a loving husband, and a son who is just about to safely leave the nest. But then disaster strikes. She learns that her husband is cheating, and that her son has made a complete mess of his life. So, when the opportunity to take her family to a Greek island for a month presents itself, she jumps at the chance. This sunlit Aegean paradise, with its mountains and beaches is, after all, where she first fell in love with both a man and with an ancient culture. Perhaps Sue Ellen’s past will provide the key to her and her family’s salvation. 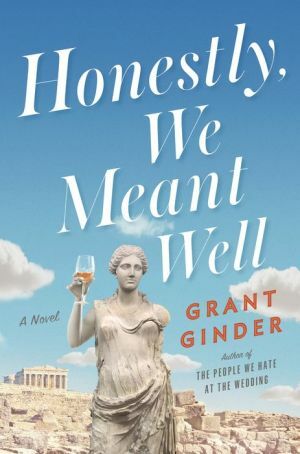 With his signature style of biting wit, hilarious characters, and deep emotion, Grant Ginder’s Honestly, We Meant Well is a funny, brilliant novel proving that with family, drama always comes with comedy.